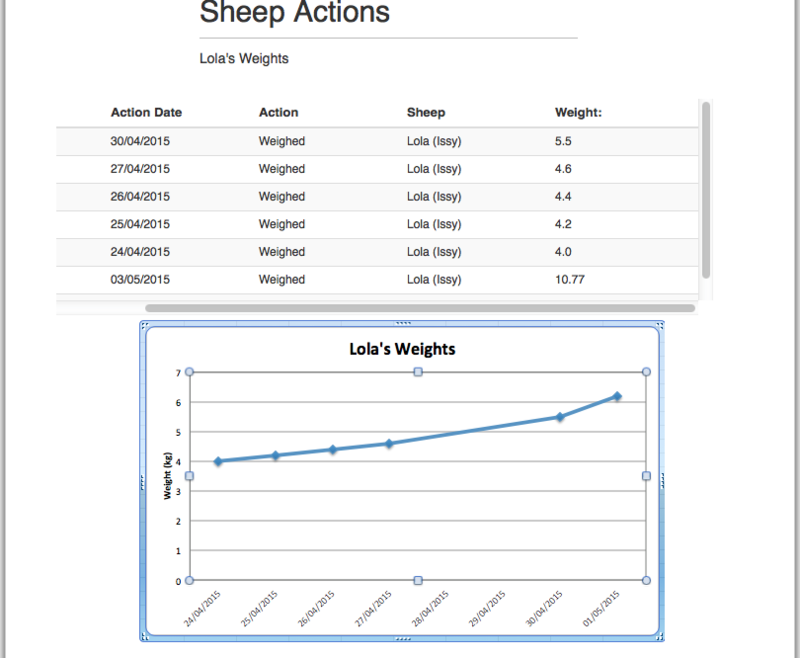 Visual Report Builder: Can we create date field vs weight field in line graph? I am not sure exactly what you are trying to achieve here? I presume that you would like to have a graph instead of the grid showing you this data? If not, could you please give us a bit more details in regards to this? I would like to be able to show both the table and the graph. I don't think the current graph function can achieve this, but such a graph would be useful for showing how any numerical or financial data changes over time. Thanks for following up all our queries. I've cloned your form and made some test submissions in my end, unfortunately, it seems like we can't create a line graph with the "Action Date" as a comparison for the weight data. I can forward this to our developers and see if they can add these feature to the form visual report builder. Unfortunately, I cannot guarantee that the changes will take effect immediately anytime soon or if it will be considered, but we will update you through this thread when we hear any news. What I could recommend is that you integrate using the Google Spreadsheet instead, here's a guide on that: http://www.jotform.com/help/228-How-to-Integrate-Form-with-Google-Spreadsheet. 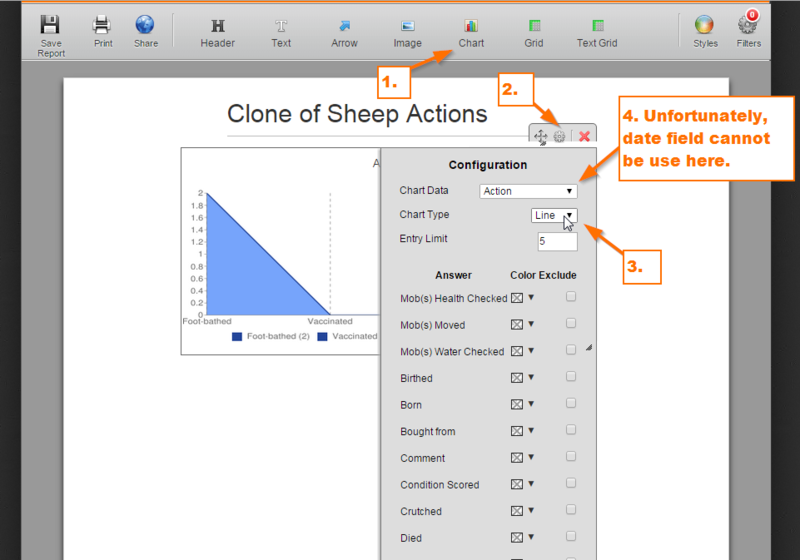 It will give you more options and advance features to create graphs for your submissions. Thank you for trying out the graphing function. I was fairly sure it could not be done but, particularly as a new user, I still have plenty to learn and sometimes don't realise what is possible. I would appreciate if you could add it to the list of improvements to be considered by the developers, though I realise that even if it is acted on it may take some time. No worries, everything can be learned. I would advise that you check our "Support" pages so to learn more about our form builder. You can check our List of Comprehensive User Guide and our YouTube Channel for tutorials. You might also check our Apps and Widgets page for tools that you can use to make your forms more productive. Thank you for your patience and understanding, we'll update you as soon as we hear any news on this. But as I've mentioned earlier, I think the Google Spreadsheet integration would be the best solution for now. The problem with Google spreadsheet, I think, is that I would have to go in and manually update the graphs, because new data (form data from JotForm), though automatically loaded into the spreadsheet, may not be automatically included in reports that I might construct similar to the JotForm Visual Report grids/graphs. My brain is a bit tired after working out workarounds for searching on two fields in Grids and Submissions, and for sorting by date in Visual Report Grids. Perhaps tomorrow I can tackle Google spreadsheet graphs!! Does anyone have any ideas on how to implement automatically updated graphs using filtered JotForm data in Google Spreadsheets? That will show you how to create a chart and on the right you will see the links to other segments that can also be useful. Now the trick with the charts is that you do not need to give it specific A2+B2 cell addresses, but you can also give them a range where the data is, so knowing this, you can give it (for example) A2:D1000 range to look for the values. Hopefully this has provided you with enough data to use it. Thank you for your words of advice. I will try to tackle the Google graphs in the next few days. As always I appreciate your prompt service and courteous manner.